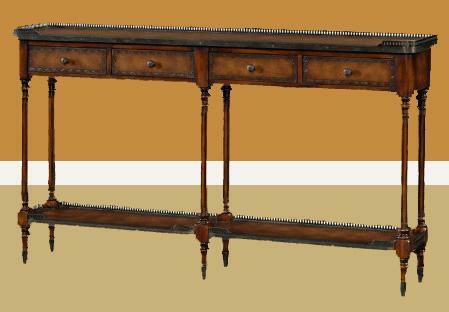 Description: Narrow console table with leather panels, verdigris brass mounts and gallery top. 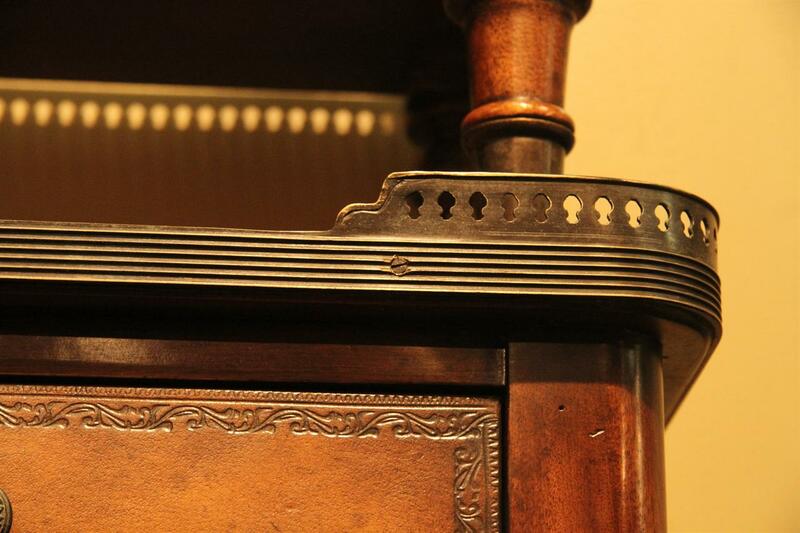 This high end solid wood console table is heavy and well built with all of the details from a true period piece. 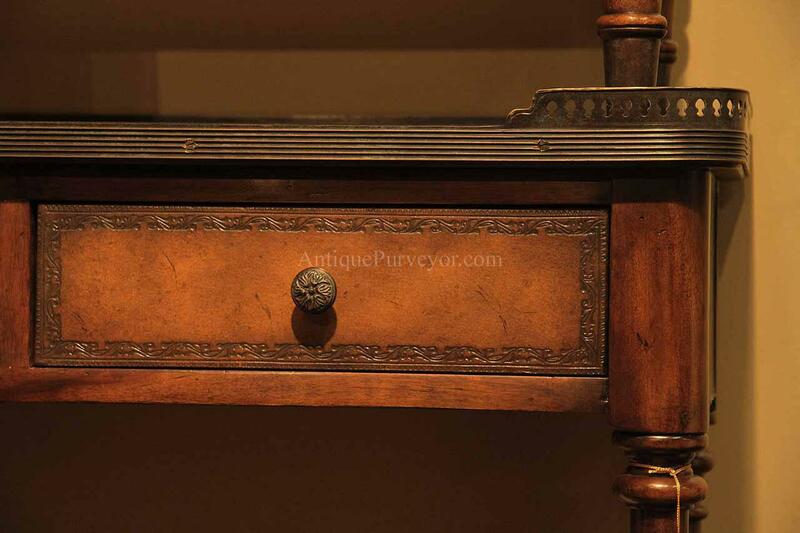 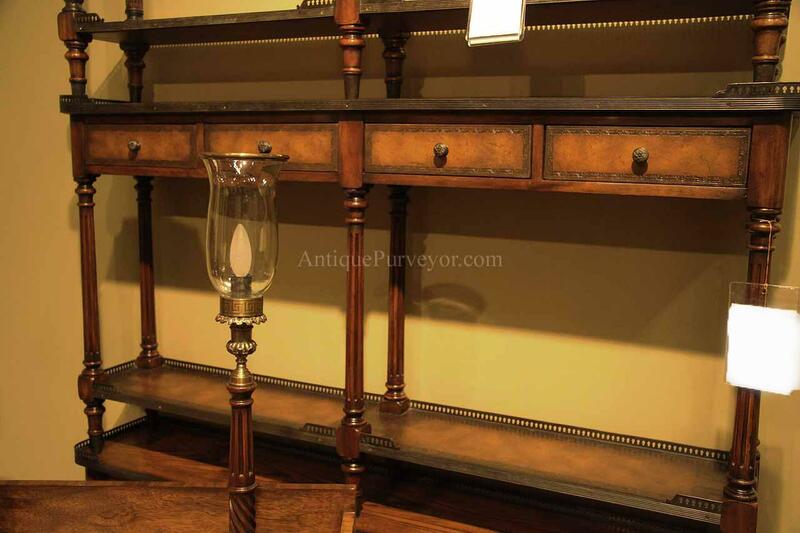 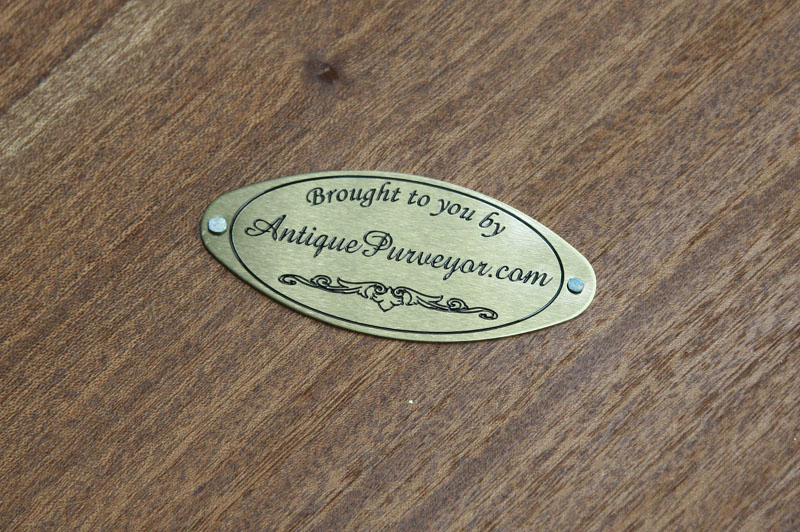 A Louis XVI antique reproduction console for smaller spaces. 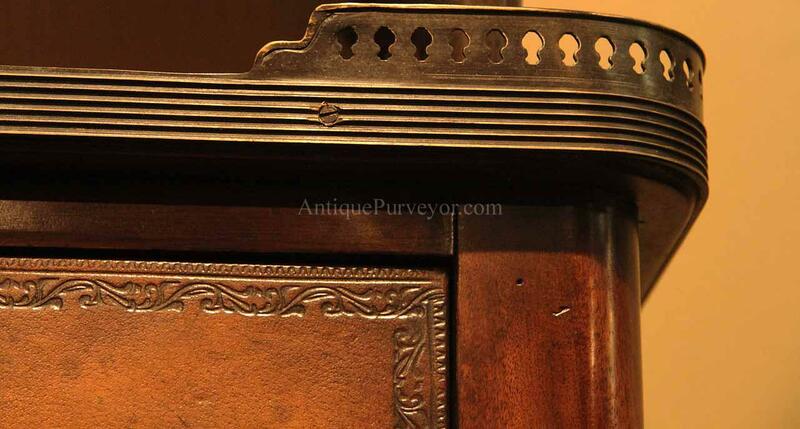 Great foyer table or accent table as well.